Whenever a hundredth anniversary of any historic event is approaching, that is the time to be a part of it to learn how an ancestor was part of it. An example is that 2018 in November, will mark the end of ‘The Great War’ (World War One) – 1914-1918. The United States entered the war in April 1917 and it truly affected individuals and families all across the nation. 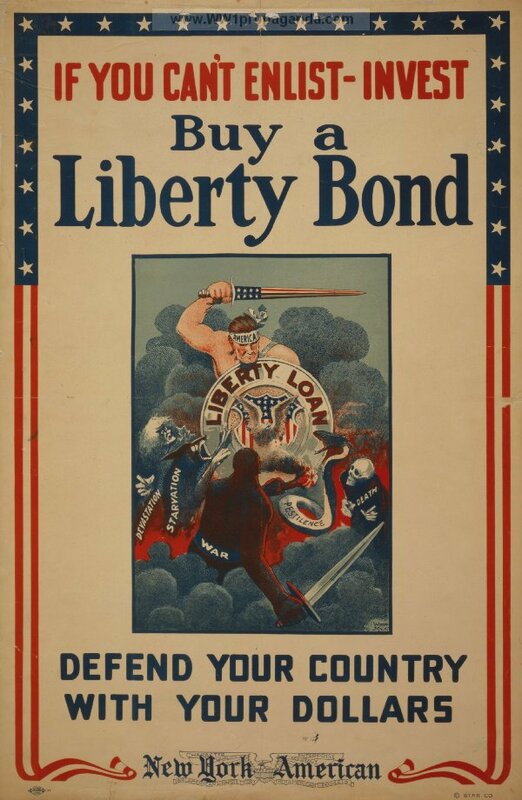 Even if no one in your family served in the military during the war, nearly everyone back home (on the home front) worked to support and contribute to the war effort. One of the best methods to learn how you ancestors were involved is to check with a local museum from the family hometown or home county. See what information they have about events, program, etc done in that town in the war effort. The best method is to check the local hometown newspapers. The details provided in newspaper articles at that time is wonderful. 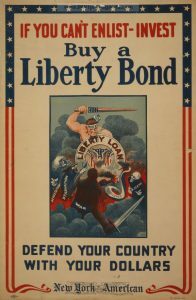 All types of people are listed, either those serving in the military or the Home Guard, those promoting war bond sales or helping with the Red Cross. I recently completed for my local town research using newspapers of the 1917-1919 time frame of what the citizens did during the war effort. It was amazing the information and details located on individuals. The following are just a few samples of what was located. 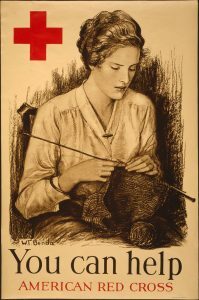 Patriot Week — On June 16, 1917 in Stuart was Red Cross War Fund day, part of Patriot Week celebrations. Speeches in several locations, encouraging the public to donate to the Red Cross, were given by J. B. McDonald, who was chairman of the war fund. He worked with Walter Kitching and Ulmer Geiger, officers of the local Red Cross society. Stuart Soldiers of Company L — Twelve Stuart fellows enlisted in Company L of the Second Florida Infantry on July 18, 1917. Actually, 22 local men volunteered but only the following 12 were accepted; Lewis Kreps, Paul Grey, C. C. Magee, William Turner, F. L. Trautman, Henry S. Wilson, Walter O. Johns, Harold R. Johns, Leroy Ricou, Cecil Gregg, George Gordon and Orville Magee. Concerts to Benefit American Red Cross — The first in a series of musical singing concerts in Stuart began on August 29, 1917 to raise funds for the American Red Cross after America’s entrance into the Great War. They were produced by the Community Choir Club, with one of the most outstanding and favorite local performers being the Aeolian Quartet made up of Clinton Ward, Harry Allen, Stuart Noble and A. LeRoy Lane. Most of the musical selections by all the performers were of a patriotic note with all cheered and applauded by the audience. Another popular performance was by a group of twenty local young ladies doing what was named the Red Cross Drill. Together they spelled out ‘RED CROSS’. The full musical production was held at Woodman Hall and directed by Sue Leamer, the wife of the manager of the Coventry Hotel, Harry G. Leamer. Every Stuart Household had War Saving Stamps — The total sale of War Saving Stamps by late June 1918 for the war effort was $8,700. Much of this was made possible by the efforts of 78-year-old Cynthia B. Haney of Stuart who personally went to every house or apartment in Stuart and knocked on each door to sell the war stamps. No one turned her down in making a purchase. If a household could not afford to purchase war stamps, Haney purchased them for that family. This gave Stuart 100% participation. 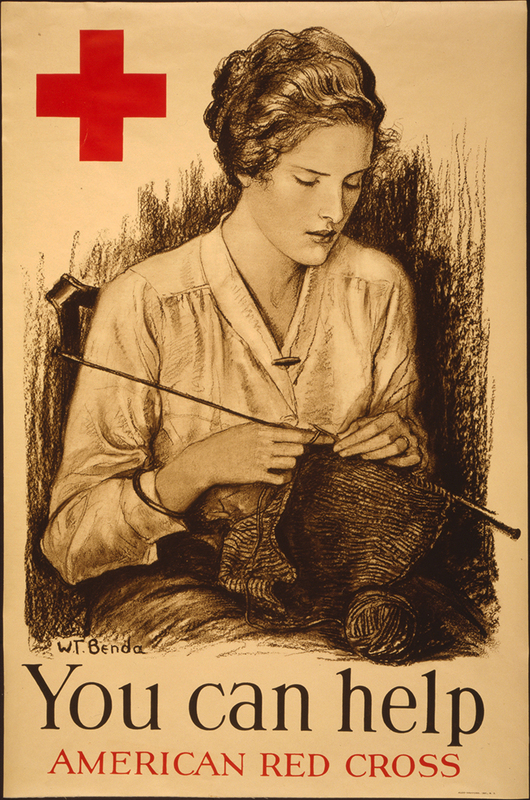 Photos: 100th Anniversary; Everyone helping how they can – knitting items for soldiers; and Promotion of Liberty / War Bonds. Which War Did They Serve In?